While in list view (with rows of movies), you also see columns. 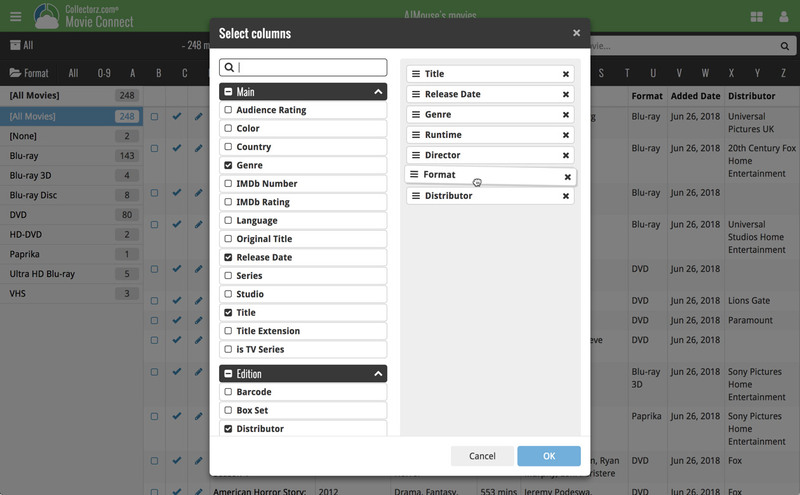 You can choose which columns you wish to see, based on which information you find most important per movie. Maybe you want to make sure you always have your Location column in view: in that case, choose “Location” as one of your columns. You can also choose in which order the columns should show. Find the fields you wish to add as columns, and use the checkboxes to select them. Drag them in the order you want them. Click “OK” to save your column selection.